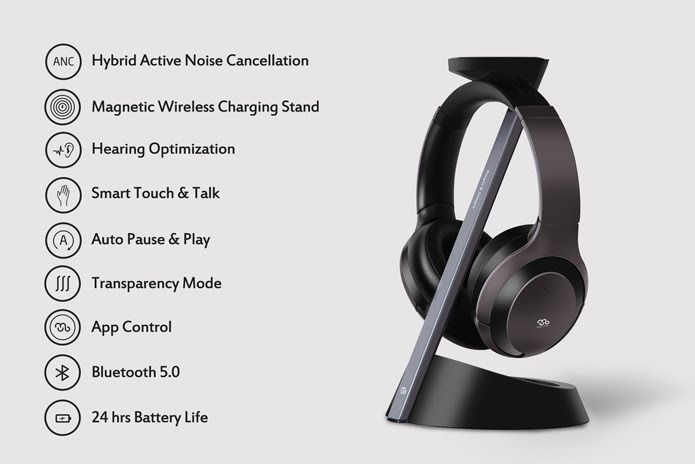 Completely obliterating their initial $20,000 goal of crowdfunding for the launch of their Bluetooth Noise-Cancelling Headphones, Mu6 has extended their pre-order campaign for another month to allow slacker backers to get in for much cheaper than retail. Mu6 Headphones is a company I hadn’t been familiar with before the campaign and receiving a personal demonstration from the company’s co-founder, Minming Gu. When you’re announcing a product that’s aiming to compete with the likes of the Bose QC35 and Plantronics BackBeat Pro 2 at less than half the price, there has to be a catch, right? Perhaps that catch was that the bigger guys were charging too much for their headphones and not putting that money back into innovation all along. One of the key aspects of the Mu6 Headphones is that there isn’t a wired connection to plug these cans into your phone if you’re running a legacy device that still has an audio jack. Instead, these cans are powered by Bluetooth 5.0 and should work across just about any device in your house (I’ll certainly be testing that with the PlayStation Vita when I replay Corpse Party for the Xth time). 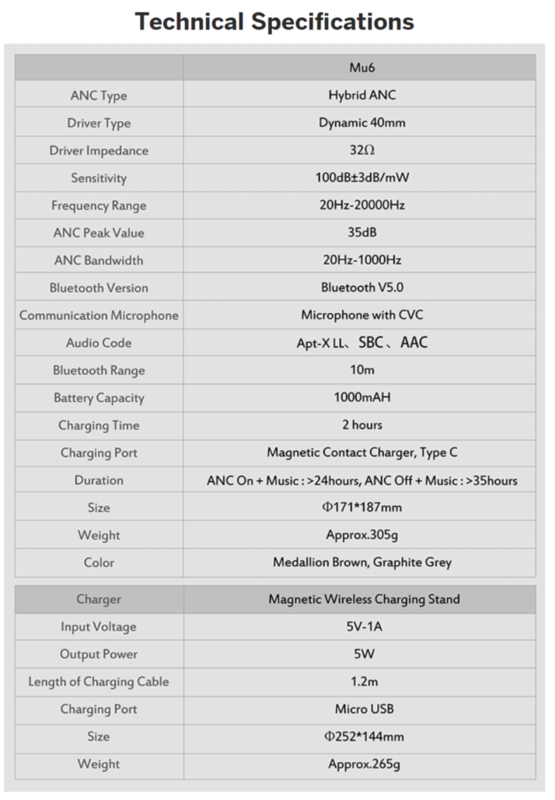 If you still need something that can plug into a 3.5mm jack, there’s a separate Indiegogo tier to include a Bluetooth transmitter and airplane adapter for less than $10. Otherwise, the only port you’ll find adorning the outside of these sleek Mu6 headphones is a USB Type-c connection if you happen to be traveling abroad. 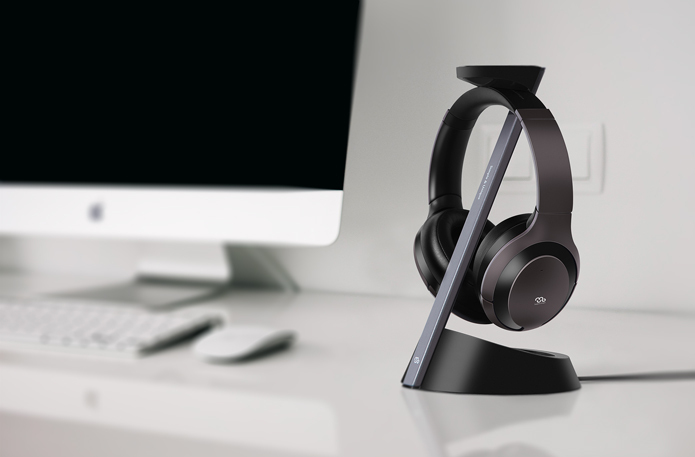 The optional wireless charging stand you can purchase for the Mu6 Headphones offers a sleek way to display your headphones while keeping the battery topped off, and after having a smartwatch for years that features a similar tech, I’m all for devices where I don’t have to fumble around to plug in a cable before bedtime. 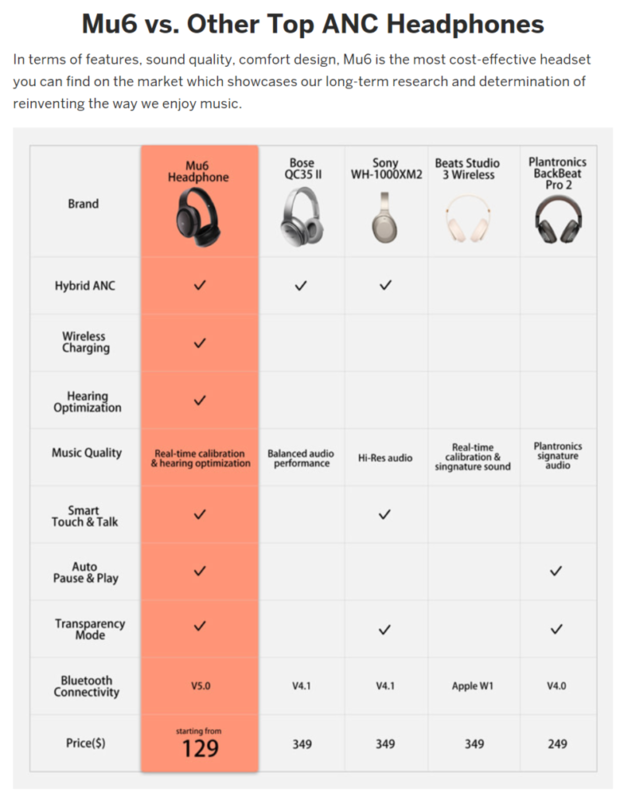 The Mu6 Headphones are a bit unique in that the engineers haven’t gone with just one type of noise cancellation and had to pick between passive and active. Instead, the Mu6 features both passive noise cancellation in the form of memory foam around the earcups and ‘Hybrid Active Noise Cancellation’ (ANC) that can suppress noise across a broader range to block out ambient background noise and help you listen to your podcast of choice with greater clarity. There are multiple modes to toggle the ANC on/off including a Transparency mode that allows all outside noise in, handy if you’re taking a walk downtown and need to be aware of oncoming traffic. Something unique to the Mu6 Headphones that I haven’t seen in other wireless monitors is the ability to briefly tone down the audio to hear someone talking at you just by cupping the left earcup. I’ll certainly be sure to test this feature out in the office and see if it’s truly more convenient than simply taking the headphones off in the first place (which automatically pauses the music until you put the headphones back on). The Indiegogo campaign for the Mu6 Headphones has already reached its modest funding goal of $20K, assuring that the project will pass when the campaign ends in January 2019. At the moment, the campaign is less than 150 Early Bid preorders away from reaching a stretch goal of including a free travel case with purchase. While the Mu6 Headphones are still in the prototype stage and won’t aim to ship out to backers until March 2019, we’ll have a full review on a production sample of the Mu6 Headphones in the coming weeks.